Light blue silk taffeta; set of bodice and skirt; worn over crinoline; chenille and fringe on bodice. 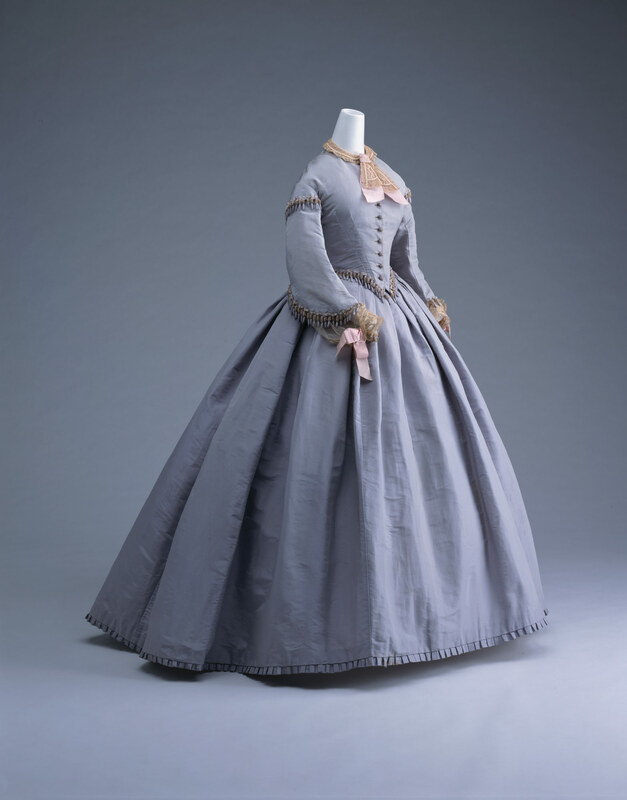 This dress is a good example of the crinoline style when skirts reached their maximum volume around 1865. Most of the volume of the skirt is concentrated on the backside. The vogue of crinoline skirts which used large amounts of silk cloth invigorated the silk industry. The improvement of weaving machines, progress in dying techniques, and introduction of the sewing machine largely revived the textile industry of that time.